I want to thank Mr. Samuel Weller of Centura Health for helping the Family Intercultural Resource Center add enrollment specialists, so those in need can get assistance to find health insurance for 2018. Unfortunately, the needy aren’t the only ones who desperately need affordable health insurance choices these days. My husband and I thought we had worked hard and done a good job to provide for our retirement. However, next year we would have to pay more than $30,000 for a Bronze Plan and the worst health care coverage we have ever purchased. We just can’t afford that. We’re in our early 60s and we simply can’t pay that every year for the next several years until we reach Medicare age. I’m fortunate that my employer was only too happy to allow me to shift from part-time work to full-time work. I’m grateful we have a more affordable choice available through group medical coverage. But not everybody has that opportunity, and individual health care is outrageously expensive. Something has to be done. If you want to help, you might want to start with a serious talk with your partner company Bright Health. That’s the company which offered us lowest tier insurance for Rolls Royce price. Of course, we could have paid that same insurance company almost $67,000 a year for Gold Plan coverage my family had just a few years ago! It’s nice for you to say your company lowered its prices on X-ray, CT, MRI, ultrasound and mammogram services, but both my husband and I have had to drive down to Denver this year to obtain more affordable imaging. Maybe you want to take another look and make a more serious commitment to being competitive in that department. That would help locals. No one likes to lose a day in Denver to get something we could buy locally, if it wasn’t so expensive. Why have our costs more than doubled? You might look next at the compensation of the top health care industry executives, some making as much as $65 million per year. Just reducing a single salary down to $5 million per year would buy a lot of health care for a lot of people. Bright Health, your “partner” is headed by Bob Sheehy, formerly of United Healthcare. United Healthcare is a big offender in the bloated salary department. My group policy insuring my husband, my college-age son and me will cost just $384 per month. I realize my employer is picking up part of the tab. But the real fly in the ointment is phony actuarial science, that assumes the risk of insuring an individual is greater than the risk of insuring a group of individuals. To address this theoretical stumbling block, the insurance companies can create a national pool of individuals and the marginal risk would diminish significantly. Insurance companies already insure large national companies with employees spread across the globe. They know how to manage it. I’d also like to say that up here in Summit County we’re not too keen on people invoking spiritual themes for profit. I’m deeply engaged with the spiritual community in this county. And I can tell you no one I know thinks the for-profit health care industry is meeting our health care needs. And let’s be clear … a for-profit business is not a ministry. I do prefer the marketplace to government. But grossly irresponsible vulgar profit taking in the health care industry is driving our country to revolt. With all due respect I think your company can do more. Why is the Climax proposal even being considered? 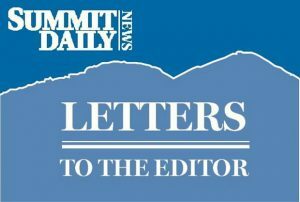 The insensitive proposal to Grand County Board of Commissioners by Climax Molybdenum to increase the element in local drinking water is preposterous. The mine wants to expand concentrations to 40 times the standard in local drinking water which is also not even possible for Grand County’s Commissioners to decide. This is an issue for the state of Colorado’s Water Quality Control Commission and will be heard on December 12, 2017. 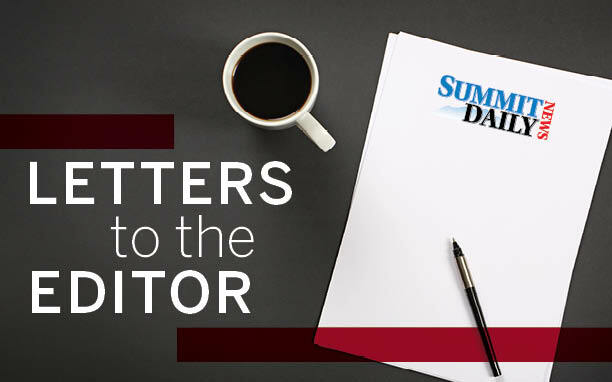 It is safe to say that the general public agrees with the Commissioner Cimino and Linke’s reaction that this should not happen, let alone appear to be up for discussion. The citizens of Colorado call on the Water Quality Control Commission to reconsider this hearing in order to reserve time and taxpayer money for issues that take precedent over nonsense. Is the Flint, Michigan water crisis not something we want to avoid? All citizens should have a right to safe drinking water in the United States and it is your duty as government officials to uphold the rights of the people so something like that never happens. During National Family Caregivers Month, we recognize the impact of caregiving and honor the more than 244,000 Coloradans caring for someone with Alzheimer’s disease. In 2016, these caregivers provided an estimated 277 million hours of care valued at over $3.5 billion. I am the daughter of two of those caregivers. My parents sacrificed a lot to help support my grandparents during their time of need, birthdays, graduations, even babies being born, but that is what family is for. Importantly, Congress is currently considering legislation that would provide much needed support to our nation’s family caregivers – the Recognize, Assist, Include, Support, and Engage (RAISE) Family Caregivers Act (S. 1028/ H.R. 3759). The RAISE Family Caregivers Act would facilitate the creation of a national strategy to address the many issues facing caregivers, including education and training, long-term services and supports, and financial stability and security. In September, the Senate unanimously passed the Act, sending a clear message of support to our nation’s family caregivers. I am thankful to U.S. Senator Bennet for helping to introduce this bill in the Senate and for Congressman Polis’ active support of the House bill. Now it’s time for the House of Representatives to take the same action and pass the RAISE Family Caregivers Act. Please join me in asking Representatives DeGette, Tipton, Buck, Lamborn, Coffman and Perlmutter for their active support.